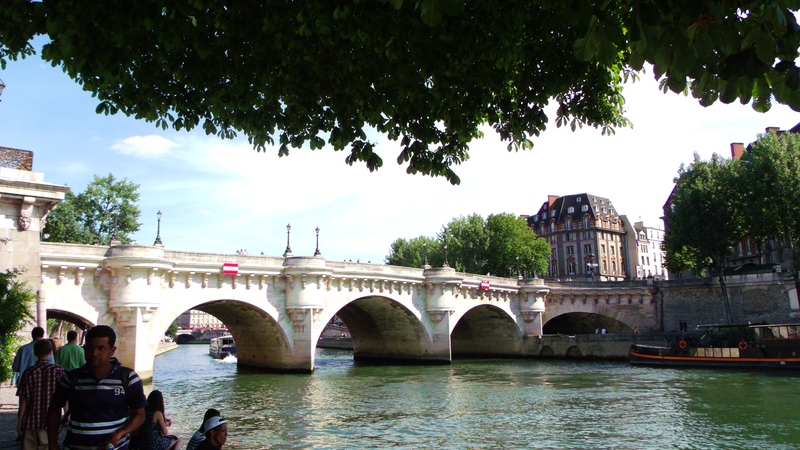 The Pont Neuf (“New Bridge”) is the oldest standing bridge in Paris. How’s that for a paradox? It made sense at one time . . . a long, long time ago. It was built in the late 1500’s/early 1600’s– and still looks spry for an old girl. Yes, there have been nips and tucks, but the bone structure remains the same as far as I know. Next > Where Have All the Cuckoos Gone? Thanks for the like. I love your photos. Have you seen my recent ramblings about Paris? Have you seen the movie Lovers of Pont Neuf? Haven’t seen the movie—will have to give it a look. Thanks for the tip! Saw your posts on Paris–thanks!